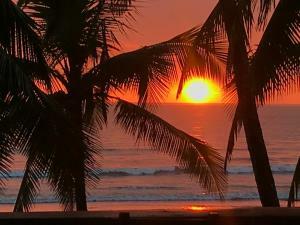 ﻿ Best Price on Room2Board Hostel and Surf School in Jaco + Reviews! 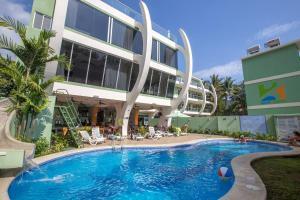 Offering an outdoor pool and a restaurant, Room2Board Hostel and Surf School is located in Jacó. It features a social, young and hostel atmosphere. Free WiFi access is available, as well as an outdoor pool. 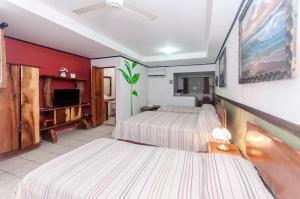 The bedrooms and dormitories include bed linen and a fan, while air conditioning is available at an extra cost. The bathrooms have showers and may be private or shared. 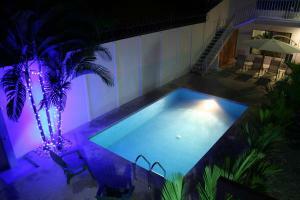 At Room2Board Hostel and Surf School you will find a garden, a terrace and a bar. Other facilities offered at the property include a shared lounge, a large poolside movie-screen, a tour desk and laundry facilities. The property offers free parking and a rooftop terrace with hammocks. The property also has a surfing school and is built following an eco-friendly design. Juan Santamaría International Airport is 1 hour and 30 minutes’ drive away. Please note shared bathrooms are located outside the rooms. Payment before arrival by bank transfer is required. The property will contact you after you book to provide instructions. Guests are required to show a photo ID and credit card upon check-in. Please note that all Special Requests are subject to availability and additional charges may apply.